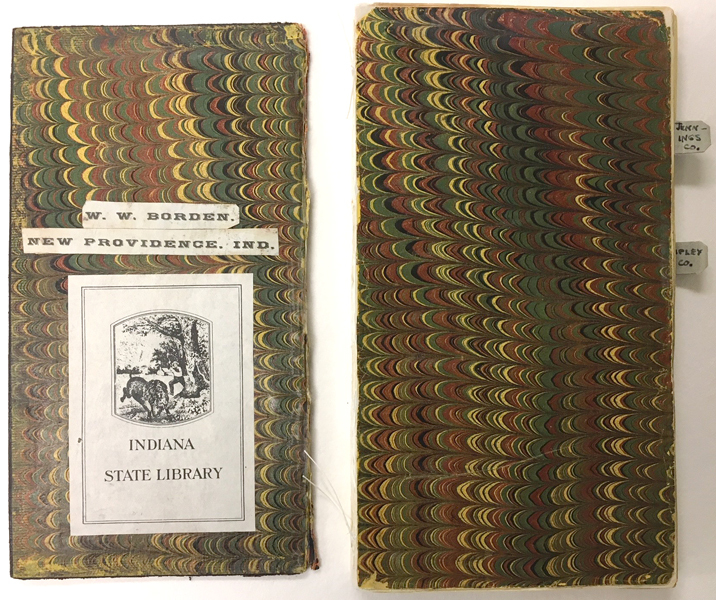 This entry was posted in Conservation and tagged binding, Books, cloth, Conservation, county, jennings, leather, Maps, ripley by indianastatelibrary. Bookmark the permalink. 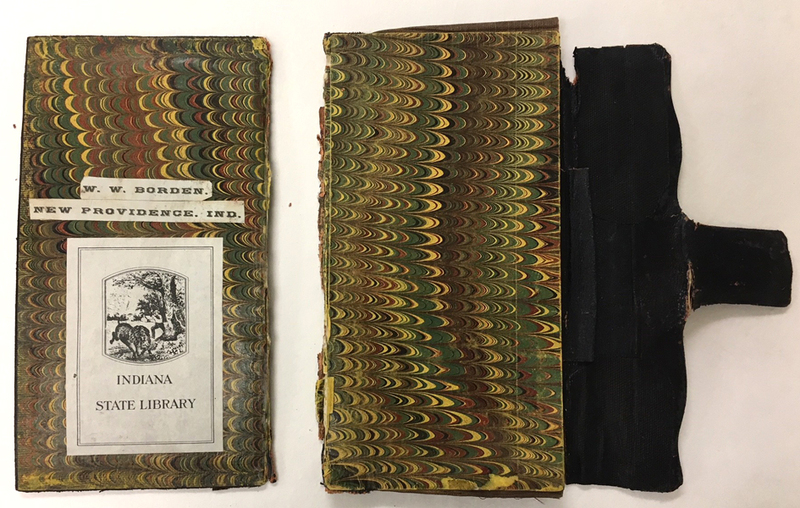 Thank you so much to everyone involved for preserving and digitizing this volume. It is a treasure! Thank you all for your work on this volume! What a great little treasure! I’m sure this comment will have a divided view point. As a professional in historical preservation myself, I realize the limited dollars and resources we have in the libraries. I ask this question with an interest in learning about this subject. I don’t see the benefit of salvaging the “original materials” of some historical findings. 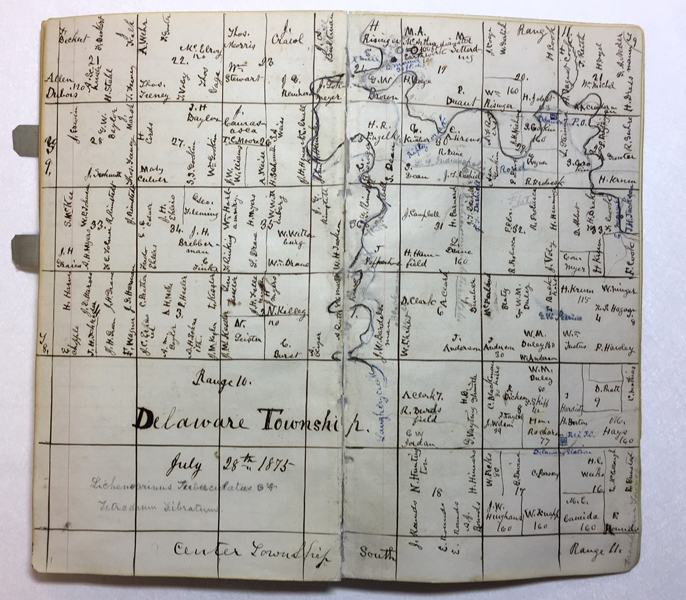 Having had family that were some of the earliest pioneers in the early 1820s in Ripley county’s Delaware township, I was excited to find the digital copy of the 1875 map. I don’t see the value in all of the other work to have a working original (binding etc). Would it not be better to use the libraries resources in preservation than reinvention? Most of my clients and myself prefer to put the labor into restoration of scratches and tears even if digitally done to create the keepsake historical photos and other artifacts that are dear to us. Thanks for reading. I am sure the original made you want to weep. However, kudos for tackling it and restoring it to life once again. Thank you for everyone’s comments! Dan Meno: Thank you for your thoughtful question. I have been asked this before, and it is quite a nuanced question indeed. It is perfectly fine for a person to choose to digitally preserve something they own without physically conserving it. 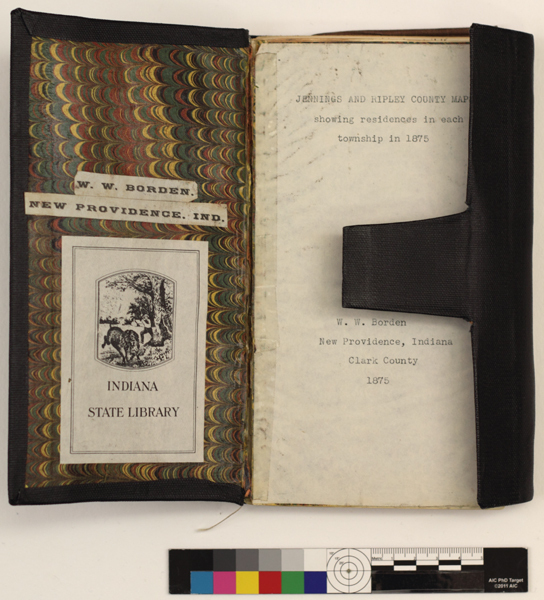 I believe, however, that many people would be extremely upset if an historically important item, such as the Constitution of the State of Indiana (in the collection of the Indiana State Archives), was left to degrade over time in a box or discarded altogether because it had been digitized. 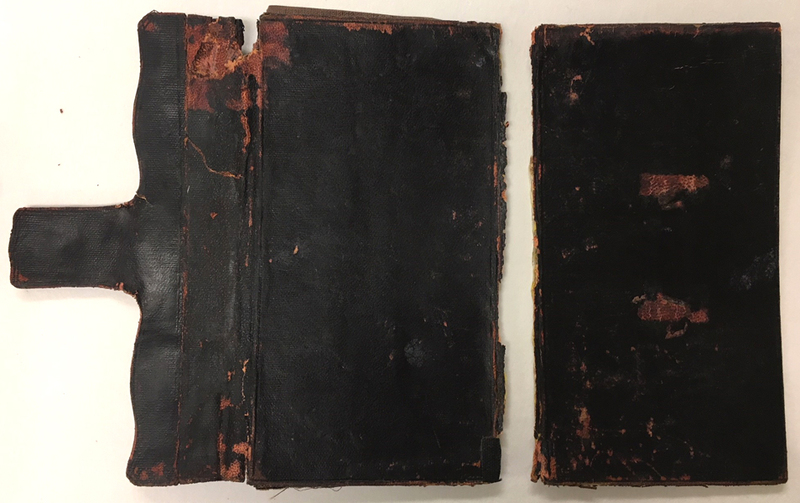 Admittedly this is a dramatic comparison, but one meant highlight the fact that some items have physical historical information and presence that add depth and understanding to research that a digital copy would lack. It is part of what makes them rare and valued, and not just in the monetary sense. 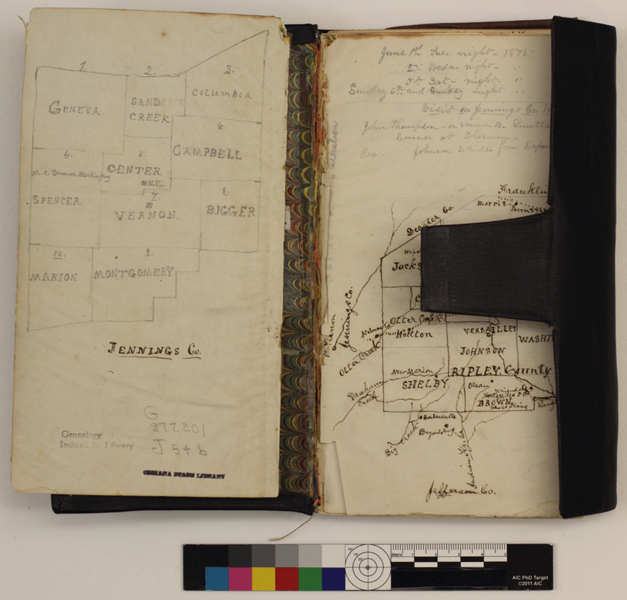 William Borden carried this journal around, jotted down notes, and sketched these maps inside. As he went along, he stuffed little bits of plants that caught his eye between the pages. This gives us a bit of insight into William Borden as a person. 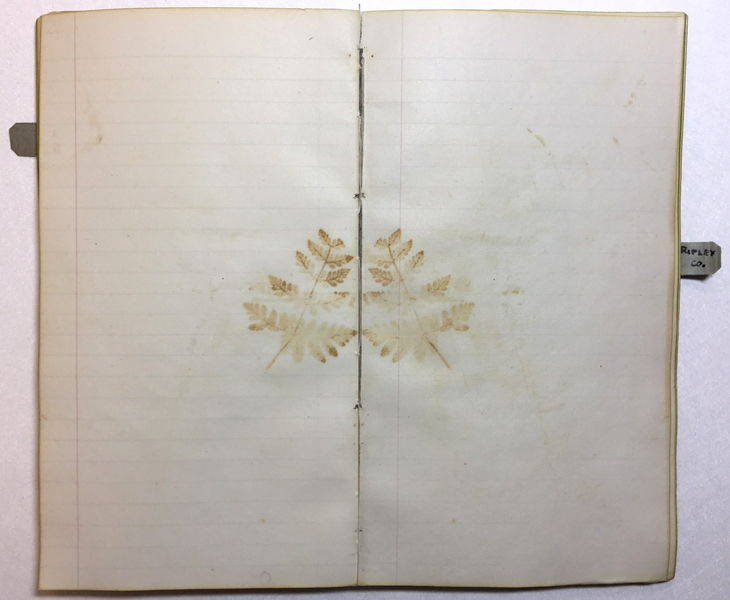 This journal is not just a mass-produced book, but a part of our living history. 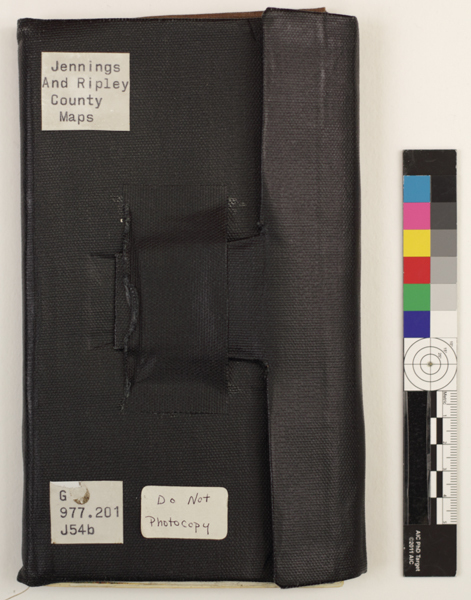 We admittedly do not expend this amount of conservation treatment on every collection item because that would not be a reasonable use of our resources. 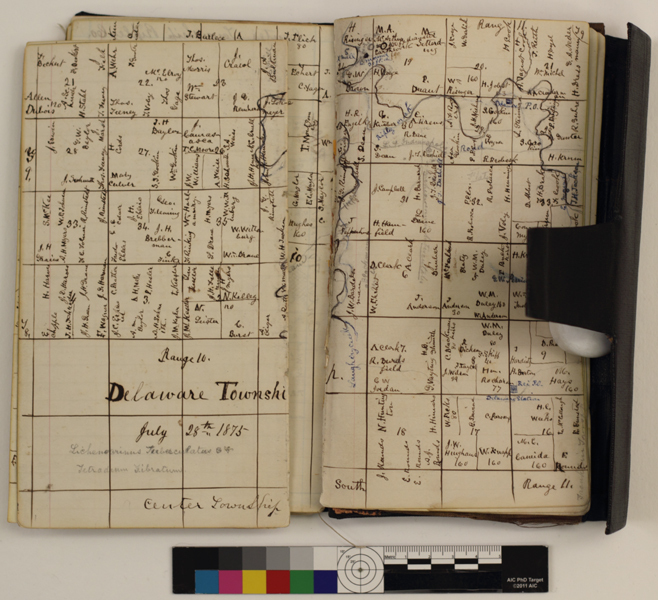 Replaceable items are replaced, but rare and historically important items are physically conserved as well as digitally preserved whenever possible to ensure perpetual and easy access to everyone. If you have any further questions, please feel free to reach out to me. Thank you for reading!